I can’t believe this series is over. Vampire Academy has been in my reading life for a long time and I was ecstatic when I learned about the Bloodlines series. After a rocky start in the first book I fell in love with The Golden Lily and The Indigo Spell, but something started changing in The Firey Heart, and by Silver Shadows I was losing interest. I went in to The Ruby Circle with high expectations. I wanted the series to woo me once again. Instead I was left feeling a whole lot of meh. The plot of The Ruby Circle picks up where Silver Shadows left off. Adrian and Sydney are staying at the Moroi court and trying to avoid the Alchemists. Life isn’t all sunshine and rainbows though and soon Adrian and Sydney must leave to rescue Jill. This wasn’t a bad plot it was just meh. It lacked the immediacy of Richelle’s other books and it felt rather basic. A mediocre plot would have been okay had the characters been given a chance to shine. Unfortunately, the characters only followed the plot and there wasn’t much growth from any of them. Adrian and Sydney had completed their character arcs and there was nothing more for them to do. Still, Adrian did find time to shine and once again he was my favorite character in this book. That guy’s just awesome. Sadly, the mediocre plot led to a so-so ending. It was a nice closure for Adrian and Sydney but I feel like Richelle left the world open for yet another spin off. Overall, I loved the first few books in the Bloodlines series but as the books progressed I felt myself being drawn further and further away from the series. 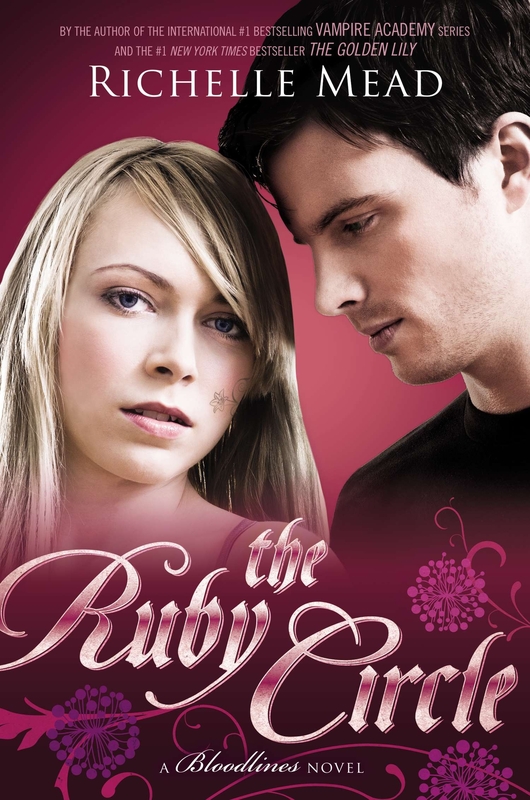 The Ruby Circle instead of going out with a bang went out with a whimper. If there is another Vampire Academy spin-off series I will have to think long and hard about reading it. I want something more then meh. I didn't read you review since I haven't read the last book yet. But want to comment anyway. Currently reading The fiery heart. In all I love the series so far. I love Adrian more and more.